Rachel has lifelong experience and success in training dogs, both in obedience and in canine sports. She is completely passionate about helping them achieve their potential, and she wants to share her passion and knowledge with you. At Tucker Pup's, she teaches group classes, provides private lessons, and gives seminars, across a wide range of commands and behaviors. She plans on launching several canine sports classes at Tucker Pup's in the summer months. 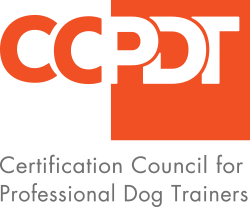 She will be obtaining her CPDT certification in 2019. Rachel has strong training experience prior to joining the Tucker Pup's family. She has taught obedience and agility classes, in addition to seminars, at a training business in the Chicagoland area. She also trained rescue dogs at her local animal shelter in order to prepare them for adoption. Further, she has provided private lessons to customers. She has been working with dogs since she was eight years old, when she started competing in agility and frisbee competitions. She has won countless awards over the years in canine sports, including with her own dogs, plus other peoples' dogs. She won her first trophies in the 4H Club as a child, and now she still participates in 4H as a counselor, passing along her joy of dogs to the next generation. She has also won statewide frisbee competitions. Besides training, Rachel has a deep background with dogs. She has walked and boarded countless dogs in her hometown, volunteered for several years at the Humane Society, and was a kennel technician at an animal control facility. Rachel has three rescue dogs, which she has trained extensively in agility, frisbee, and dock diving.